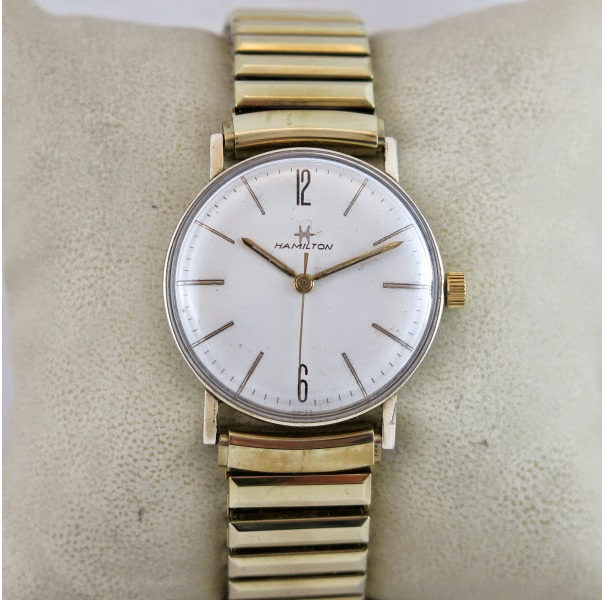 I recently learned that the M-series of watches were produced from 1961 through 1967. It seemed like once I learned that I found a couple of new models. 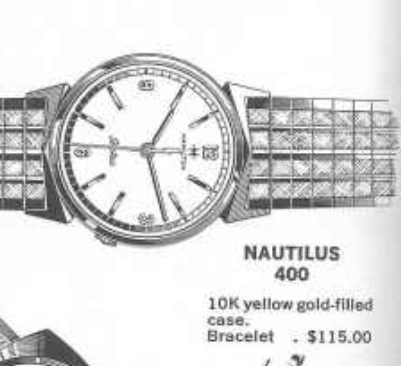 Unfortunately I don't have the catalogs for the years other than 1964 so I can't really identify the watches. One apparent common theme to the manual winding M-series with RGP cases I have found is they each have very similar case designs although they're not all the same size. Compare for your self... here's one from June 2014. And this one from earlier in February this year. Now I have another one. As received it was in obvious need of a new crystal. Sometimes crystals will craze like this over time if they are compressed too tightly during installation. Although the physical sizes vary, the mystery models that I have come across all come in a one-piece 10K RGP case with very similar case designs elements... flat back, thin lugs, etc. Without the crystal in the way, I can see that there is some glue residue around the outside of the dial from someone sloppily gluing the crystal on. The dial design is very interesting. It's got raised gold numerals and the inset hour markers are silver. The chapter ring going around the perimeter is also silver. 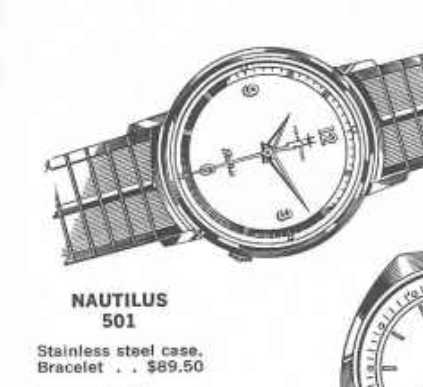 This dial looks a lot like several models in the Electric Nautilus line from around 1963. Behind the dial is a 17 jewel 688 movement. I've seen these mystery models with 688 movements as well as 671 grades. The case back is clearly marked Hamilton W. Co. Lancaster PA and the case maker is D&A. That's been the case (pardon the pun) with the other models too. Everything is cleaned and ready for reassembly. I was able to get the glue off most of the dial except for on the chapter ring near the 2 marker. I like the 686 movement - it's very easy to regulate once you get it running. The dial and hand get installed and the movement goes back into the case. You can still see some glue residue on the dial but that's the breaks, I'm afraid. You can't be sloppy when it comes to watches. The last thing to go on is a properly fitting 30.6mm high dome crystal. A lizard strap completes the overhaul and you can clearly see what a huge difference a new crystal makes to a tired old watch. The crystal hides most of the glue residue that was left on the dial. This mystery model looks great to my eye.